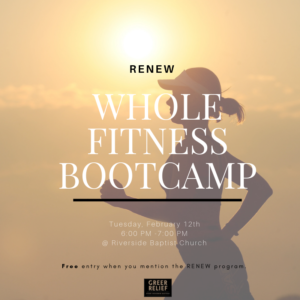 Join the Whole Fitness team in a Boot camp that will leave you physically drained but spiritually full. 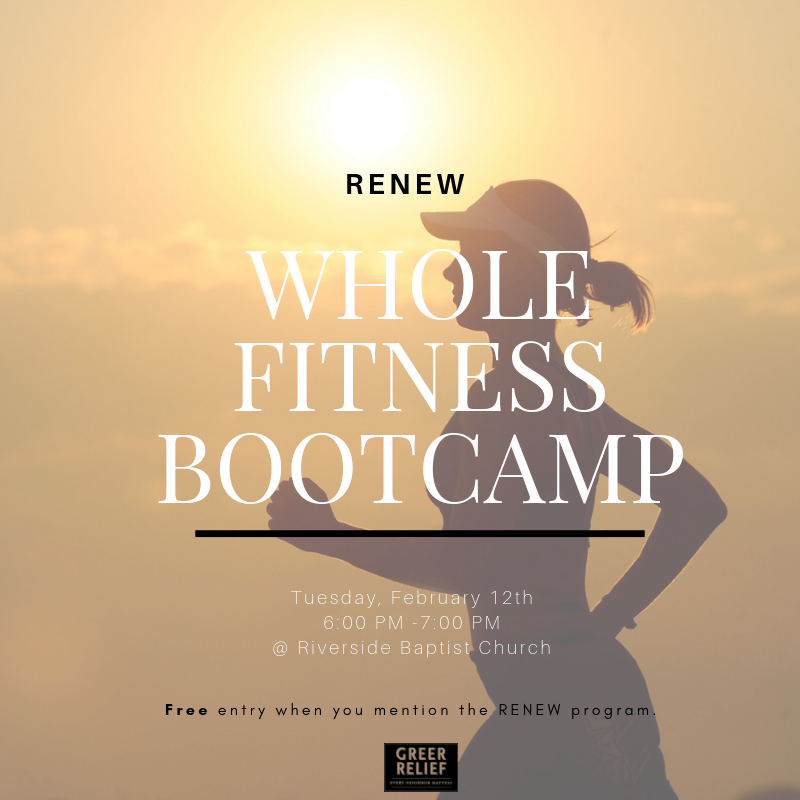 This class will be held Wednesday, February 12th from 6:00 PM – 7:00 PM at Riverside Baptist Church. Mention Greer Relief for FREE entry. See your instructor at the end of class to receive your RENEW Only participants 18 and up can get a RENEW Reward. Register here.